Huge anticipation has surrounded the first ever theatrical adaptation of Hilary Mantel's famed historical novels Wolf Hall and Bring up the Bodies. With a coveted Booker Prize award for each, the Royal Shakespeare Company (RSC) must have been feeling the pressure to successfully recreate Thomas Cromwell's rise to power in the court of Henry VIII in the vein of Mantel's expressive, perceptive narrative. Maybe a few collars felt a little tight ahead of the performance with Mantel herself seated sedately centre balcony to see her works brought to life. But with Tony award-nominated writer Mike Poulton adapting the novels and a perfectly-cast company of actors, no-one's heads is on the line... except for Anne Boleyn's. It is impossible to convert every aspect of Mantel's detailed books to the stage. However, these adaptations maintain the essence of the works and are so clear that you can practically hear the author's words in the script. The politics, power struggles and motivations of the main players are all laid bare, along with just how dangerous it was to live in those times under the gaze of Henry VIII and his ever-changing whims. 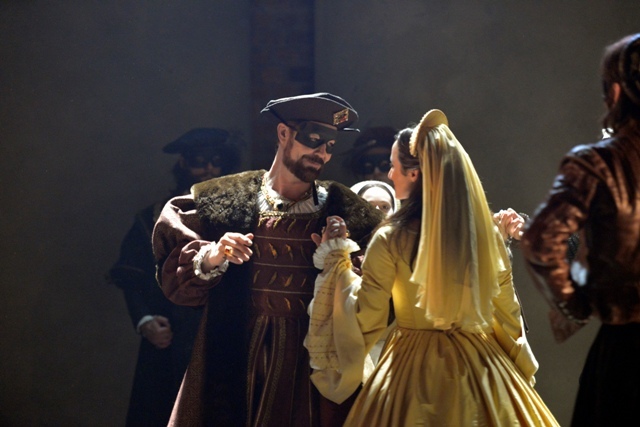 Wolf Hall and Bring up the Bodies, which are both around three hours long, are running concurrently until the end of March at the Swan Theatre and see the cast reprise the same characters through both plays. Actor Ben Miles, mainly known until now for his roles in sitcoms and light entertainment dramas like BBC2's Coupling, is astonishingly good in the lead role. His Cromwell has the right amount of likeable cheek with the undercurrent of menace, ambition and vengeful honour of the "blacksmith's boy". He's always the smooth politician - calm, controlled and with an easy smile on his face, even when facing the worst King Henry and Anne Boleyn can throw at him. Miles may have had a successful career so far, but the plaudits this role is bound to bring him should catapult him to another level. 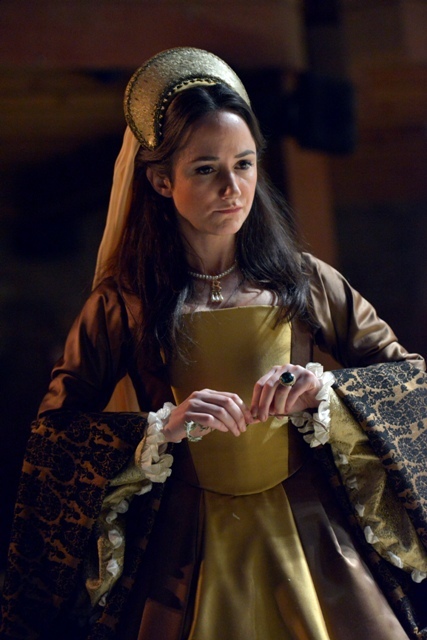 Meanwhile, Lydia Leonard's Anne Boleyn is a masterclass in deviousness - scheming and manipulating her way to the throne. Leonard plays Anne as fiesty, uncompromising and a force of nature. It's easy to see why poor Cardinal Wolsey (played by a memorable Paul Jesson) didn't stand a chance. Then there's the king himself. At first, I questioned whether Nathaniel Parker, of Inspector Lynley Mysteries television show fame, carried enough threat for the monarch, but that changes throughout the play and further into Bring up the Bodies. It's a clever transition that sees Henry shift gradually from the somewhat jovial sucker of Anne's will to a king that has embraced his role as all an all-powerful god-like monarch who can dispatch wives and enemies as it suits. 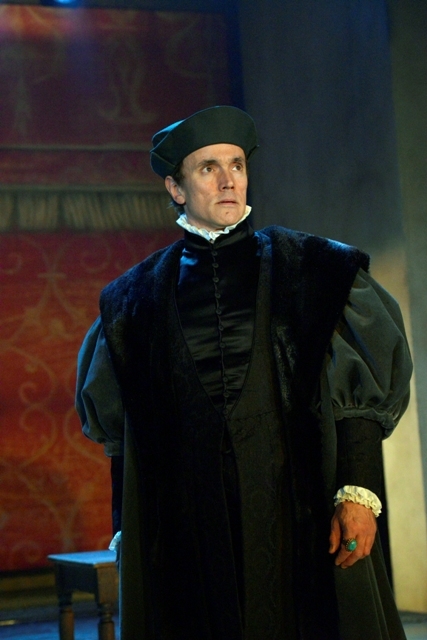 Wolf Hall is clearly the stronger production of the two. It brings the black and white text of the novel into glorious technicolour on stage - but with added humour. Cromwell's chief clerk Rafe, son Gregory and servant Christophe become the trio of fools, adding banter and tomfoolery to the dark proceedings. 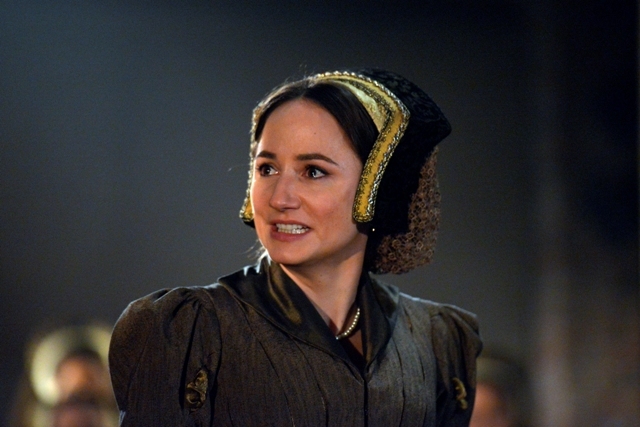 Anne Boleyn and Cromwell's confrontations are supercharged, full of bite and wit with scenes interspaced by dancing, ghosts and trips down the Thames. Bring up the Bodies continues in the same vein but lacks some of the gusto of Wolf Hall. There is much less humour, and although enthralling, there are times when it drags a little. Much darker in content, this play focuses on Cromwell's revenge on the tormentors of his former employer and father-figure, Cardinal Wolsey. There may be plenty of deaths, but rather than gore and killings, these are ingenously replaced by other methods. Instead of Anne's beheading, we see Cromwell talking to the axeman about how he will carry out his duty the following day. It's just another way that Mantel's words have been transposed into a different medium in an innovative way. Mantel once described how if she had written the books from Henry's point of view, they would have been viewed as a romance, but by seeing the story unravel through Cromwell's eyes, it is purely political. These plays may have condensed Mantel's novels, but at their core is still the politics. Most importantly, they have maintained the intensity, the fear and the deviousness of Cromwell's time and for that reason, they are a head and shoulders above most political and historical theatre productions of our time. Swan Theatre, Stratford upon Avon. There is limited ticket availability. For information on these and returns, visit the RSC website. Cost: From £15 but limited availability.